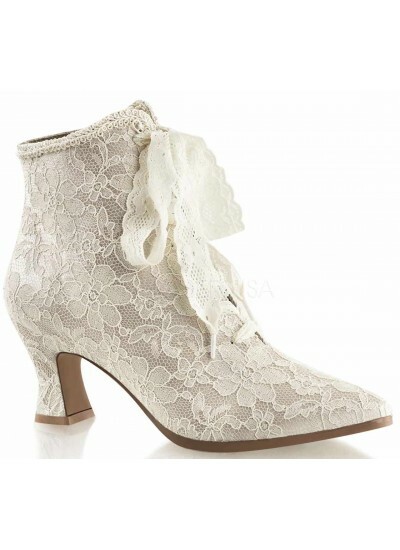 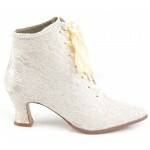 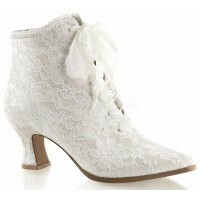 The perfect low heel Victorian lace bootie for your wedding day - or any time you want to step out of time into Victorian elegance. Champaign colored (a light cream), they are covered all over in stunning floral lace with a classic pointed toe, flared top, and lace up front with ribbon bow tie. 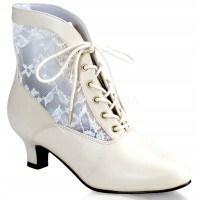 No zipper, they are lace all over - perfect for Steampunk too! 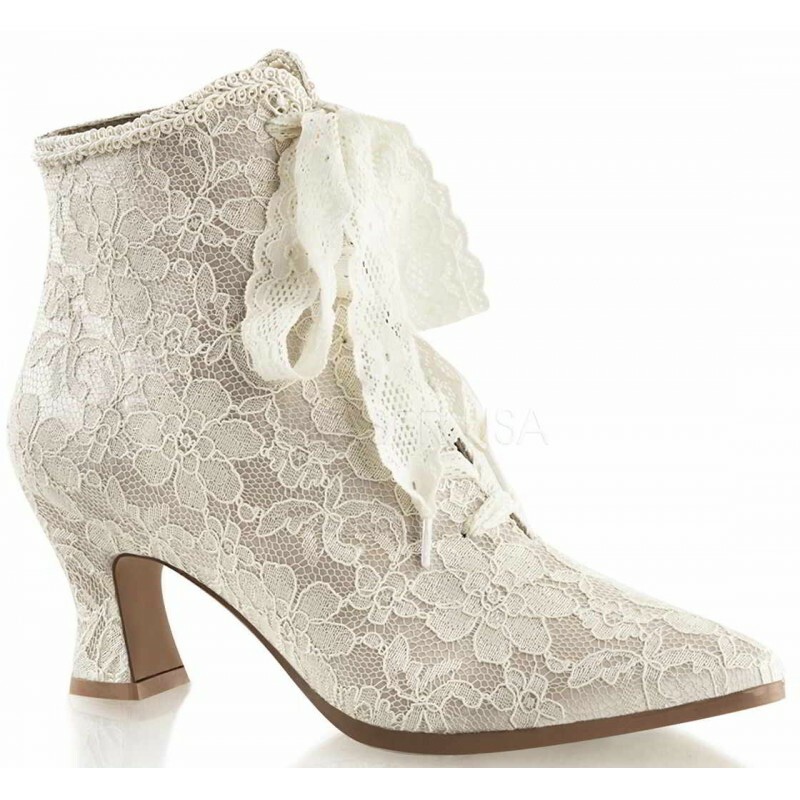 Item Number: PL-VICTORIAN/CHASA-30 | Approximate Size (Inches): 11.40 wide x 10.20 deep x 3.70 high | Approximate Shipping Weight: 3.00 lbs.